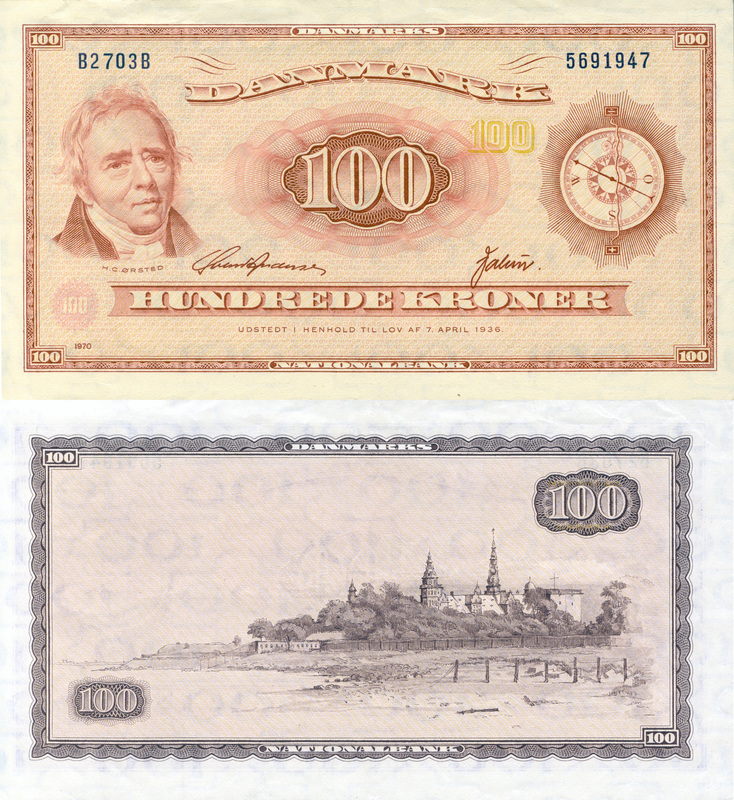 Click on each image to see a high resolution version (600dpi) of the front and reverse. This note is now obsolete. 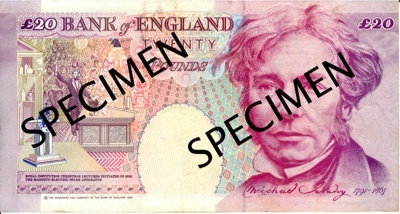 This note is still legal currency and is still in print. 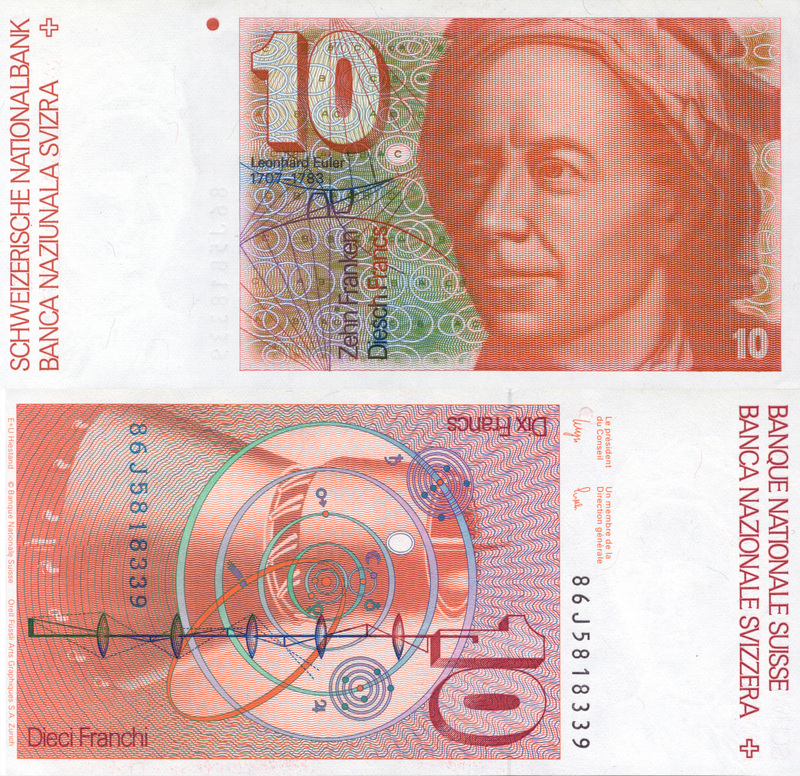 Leonhard Euler was born in Basel, Switzerland in 1707 and spent most of his life in St. Petersburg, Russia. 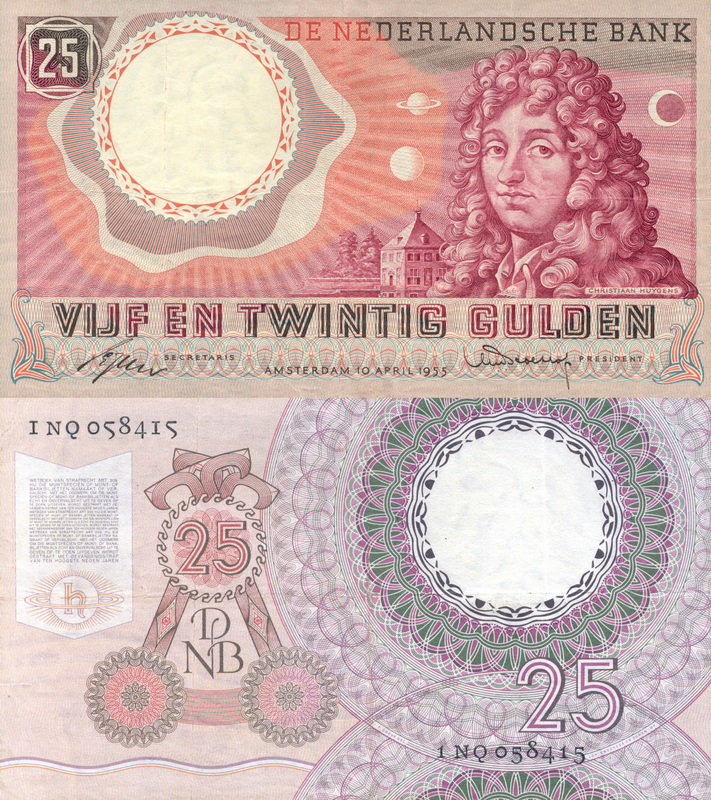 He was trained by Johann Bernoulli and was unequivocally the most prolific mathematician of all time. 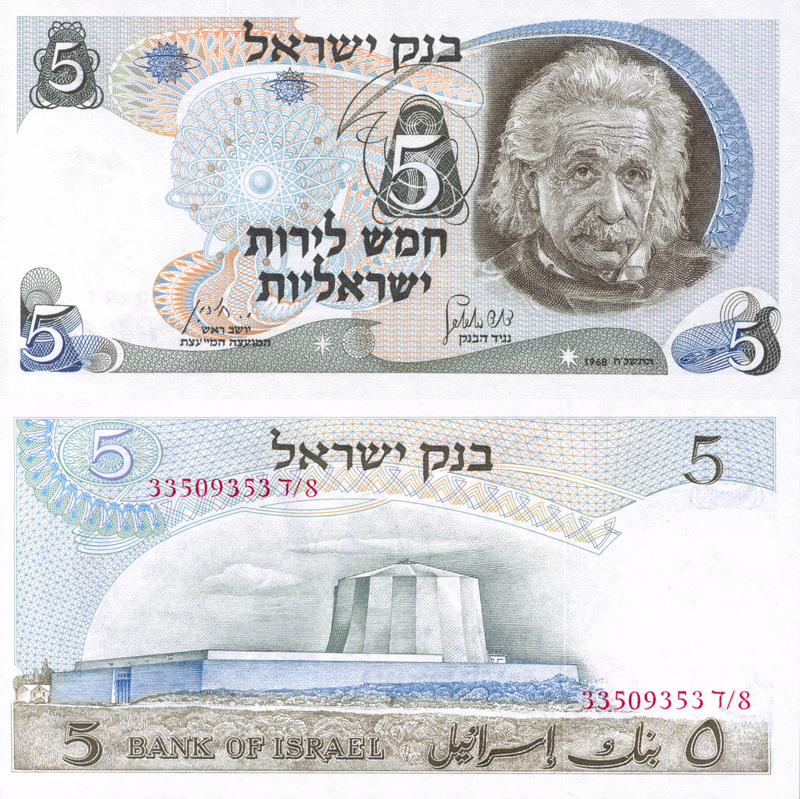 He made critical contributions to virtually every existing field of mathematics and science (and established several new fields). 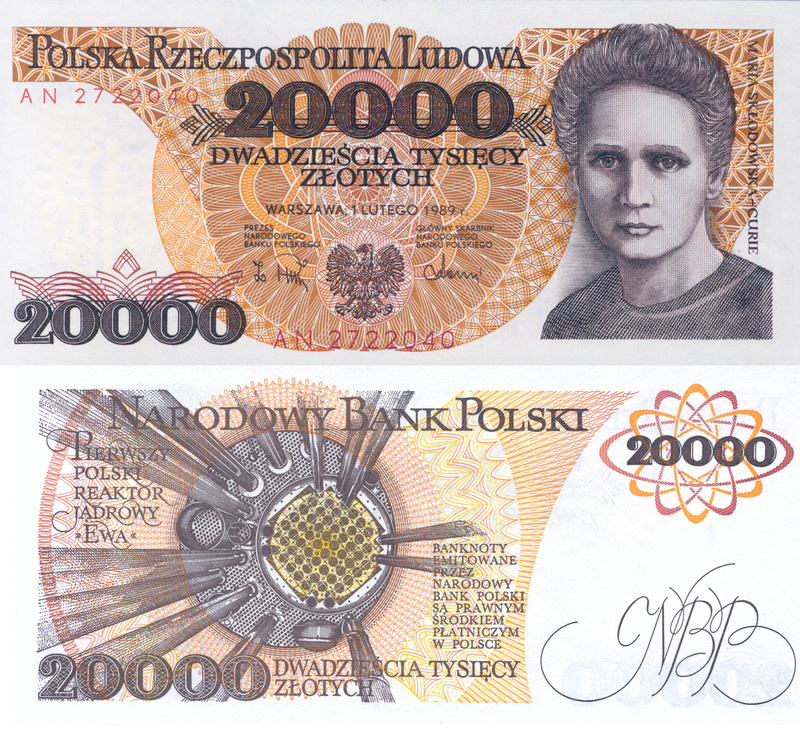 This note is still legal currency although it has been out of print for some time. 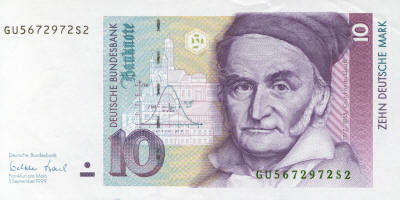 Carl Friedrich Gauss was born in Germany in 1777. 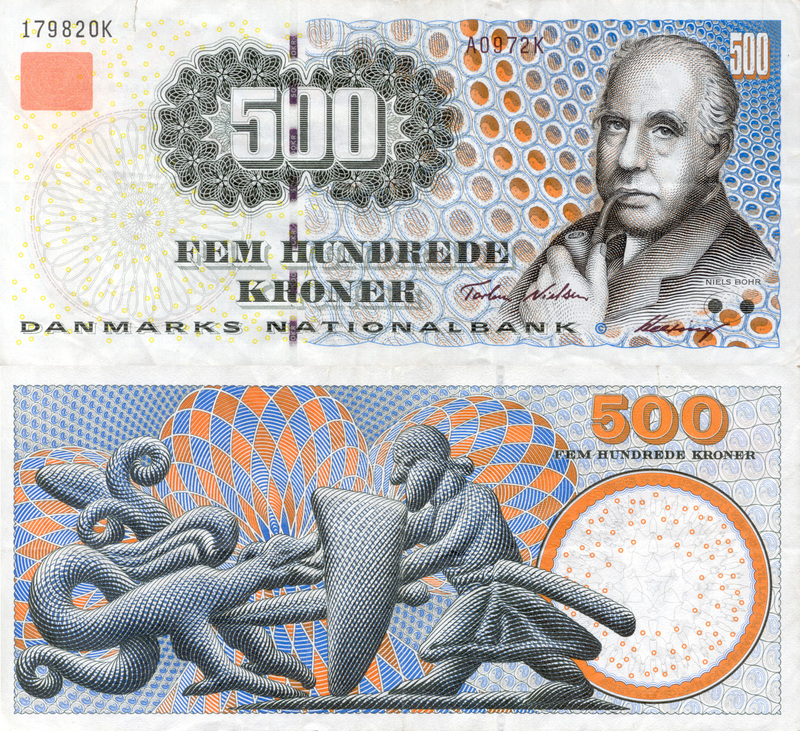 Many enthusiasts of mathematical history would place him with Euler and Newton as one of the three best mathematicians of all time. 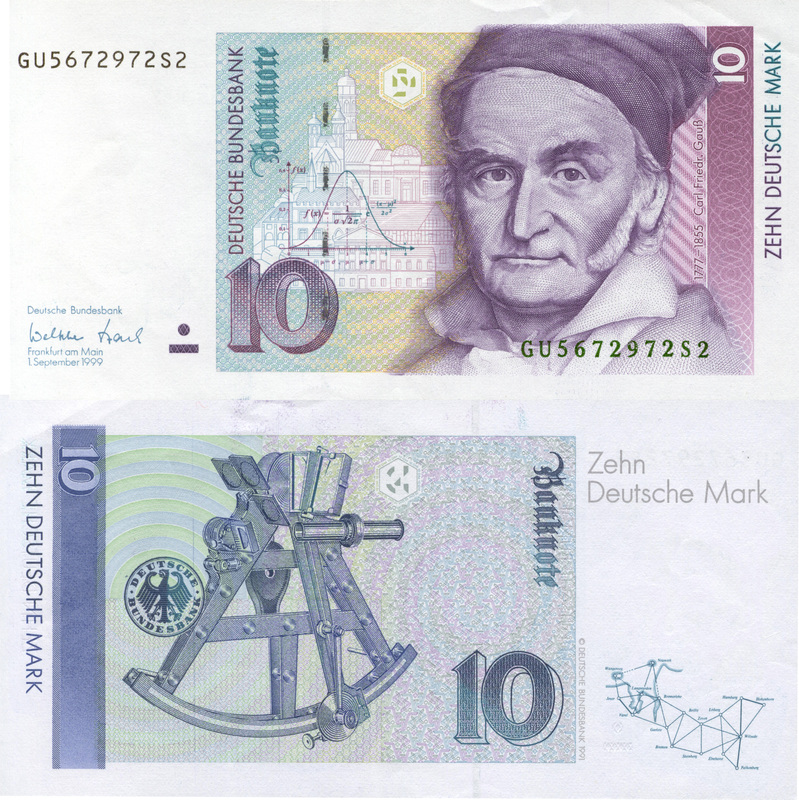 Compared to Euler, Gauss published relatively little during his lifetime; however, virtually everything he did was extremely impactful (his motto was 'pauca sed matura,' which means 'few but ripe'). 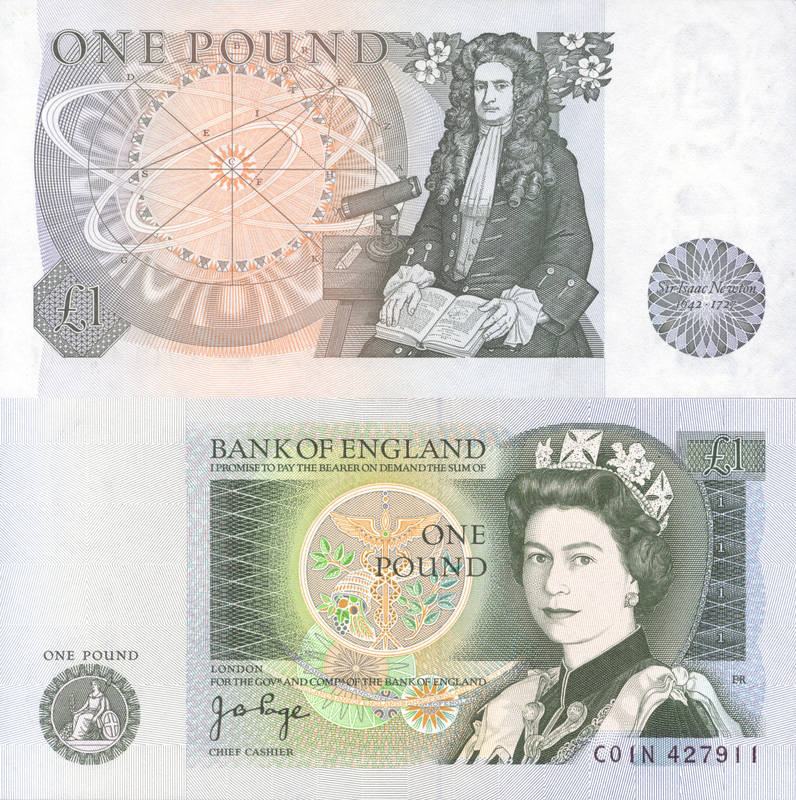 Sir Isaac Newton, born in 1643 in England, is responsible single greatest advancement in the history of mathematical physics. 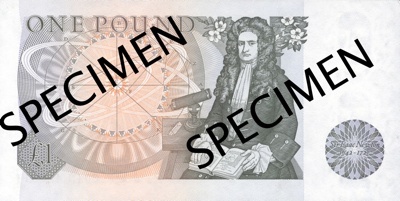 His Principia virtually created physics: science jumped from alchemy to Newtonian mechanics and dynamics. 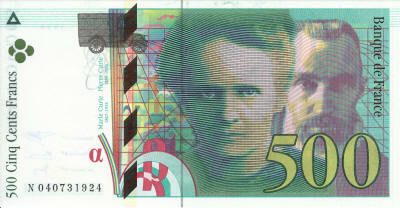 He also made critical contributions to many fields of mathematics (esp. the calculus). 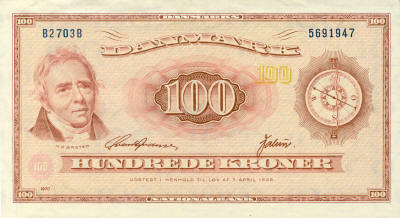 This note is still legal currency although it has been out of print for some time. 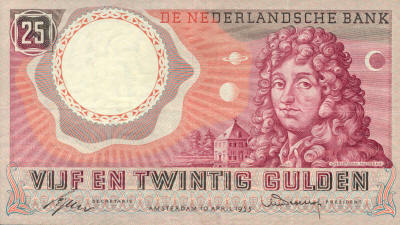 (For collectors: notice, on the reverse, that this note's serial number begins with the word 'coin'). 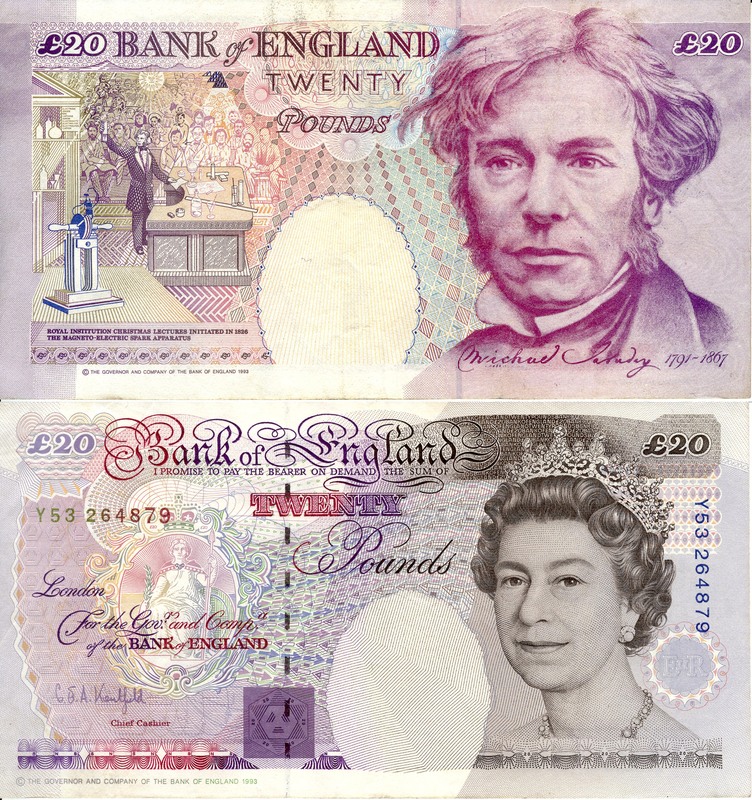 This note is still legal currency although it is out of print. 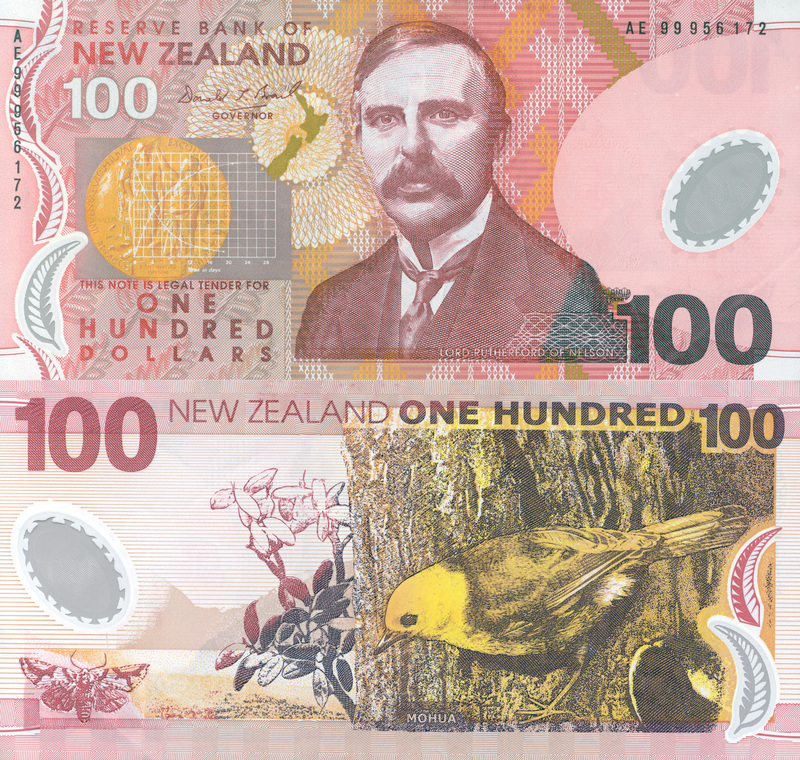 This note is now obsolete but can still be traded in for new kroners.